Many automotive enthusiasts like to hot-rod their cars and trucks with custom wheels. Take advantage of our one-stop services for your product approvals. 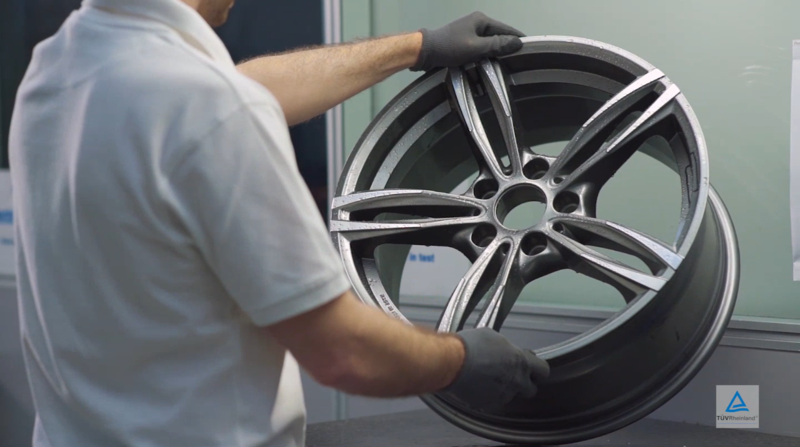 Whether you manufacture alloy or steel wheels, oversized, extra-wide, or flashy wheels, with our durability tests and reports, you'll meet national and international standards, such as UN ECE Regulation R124 for replacement wheels. Need more information? Would you like a personalized quote? Simply contact us. We'll respond to you as soon as possible. Our services are aimed at original equipment manufacturers (OEMs) of custom wheels, wheel sellers, and vehicle customizing specialists.